The Dar es Salaam Port, which receives 90% of Tanzania’s trade, is planning to increase its overall cargo capacity. The port currently handles 13.5 million tonnes of cargo, by 2015 it is hoped that this figure will rise to 18 million. The increase is part of the Big Results Now (BRN) initiative, which is also being employed by Rwanda and Nigeria, serves to aid Tanzania in its attempt to become a middle-income economy by 2025 by providing a system for development tin key areas such as energy and transport. The port was also visited by Finnish Prime Minister, Mr Jryki Katainen, during his recent trip to Tanzania aimed at boosting trade relations between Tanzania and Finland. 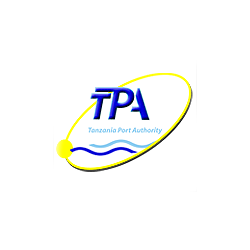 The improvements are not exclusive to Dar es Salaam Port as the Tanzania Port Authority (TPA) with widespread improvements planned for ports in areas such as Tanga and Lake Victoria. My Awadhi Massawe, Port Manager, noted that currently human resources and existing cargo depots are insufficient to meet the increasing trade demands experienced by Tanzania. According to the World Bank, transport provides a strong opportunity for Tanzania to bolster GDP as improvements to logistics and efficiency at the Port of Dar es Salaam alone could see increase GDP by USD 1.8 billion.